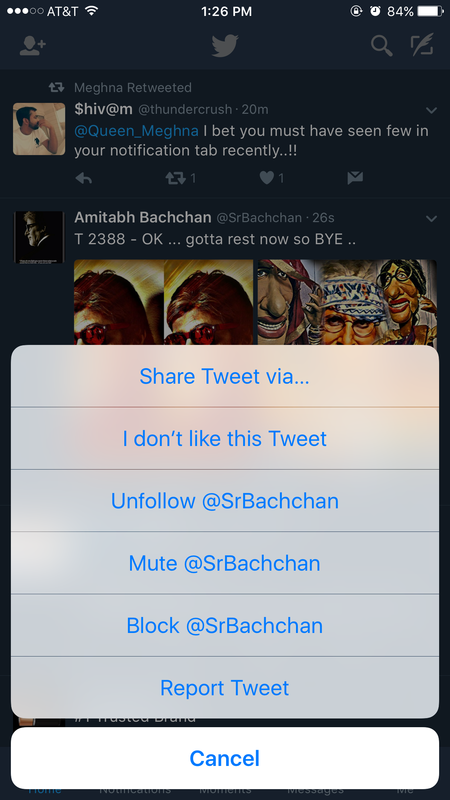 Twitter rolled out a new feature today for iOS app. “I don’t like this Tweet” – This feature is introduced in order improve the quality of tweets you see on your Timeline. Twitter has developed an algorithm that will filter out tweets with similar contents you disliked. On iOS app, click on the down arrow present at top right corner. You see the option “I don’t like this Tweet”. If you don’t see, then wait for it to reach on your device. Twitter is rolling out this to users. This feature is not yet available on Web or Android version.